James Franco may or may not have been talking about compact crossovers in the movie The Interview. “Same same, but different, but still same!” his character exclaims to the gathered North Koreans. It seems like every day, another model joins the already crowded SUV segment. Although they may be fast or comfortable or even nimble, SUVs tend to feel like white goods – not much more than the sum of their parts, regardless of which country they’re from. This is partly because the soft-roader is a new invention spawned from the calculators of accountants, focus groups and committees, rather than the burning passion of dreamers and idealists. 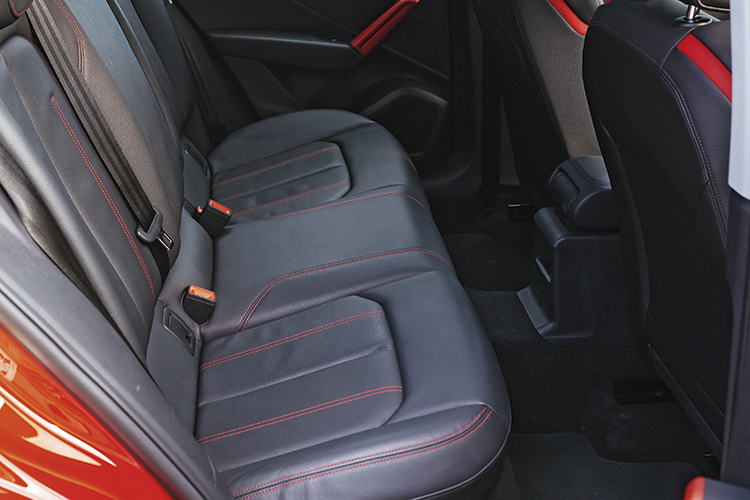 The Audi Q2’s cabin is less sophisticated than expected. An SUV is in a carmaker’s model range because it is a market requirement, not because it is the spiritual centre. Naturally, I am eager to try out the two entrants that try to break this appliance-like mould. MINI has always done things its way, occasionally even going a little bit too far for mainstream acceptance. However, there is no denying that its unique, cheeky charm has found its place in the hearts of many. This charm is now suffused in a vehicle whose shape is something that a grown-up family car buyer would not baulk at. At the other end of the spectrum is Audi, the industry’s most stern-faced purveyor of silver and sombre, which is offering its most youthful product to date. I attended the Q2’s international launch in Switzerland in 2016 and found stylised graffiti on the walls. Graffiti! 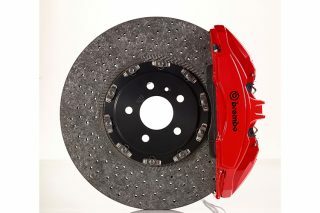 From Audi! 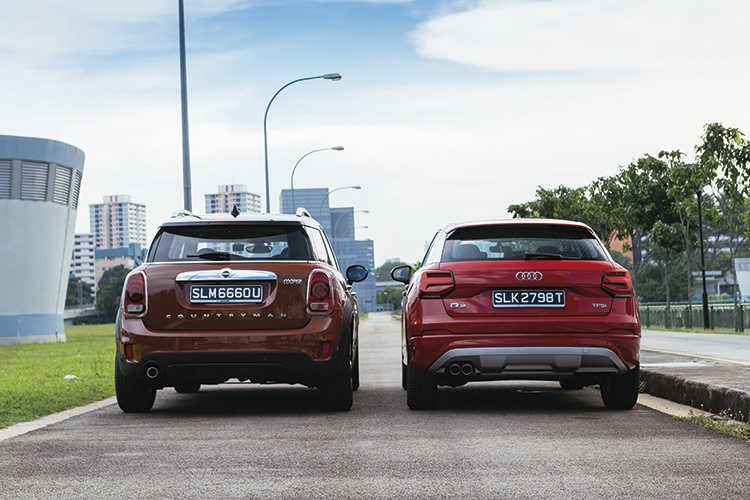 However, this is not a like-for-like comparison, as the Countryman is one size larger than the Q2. 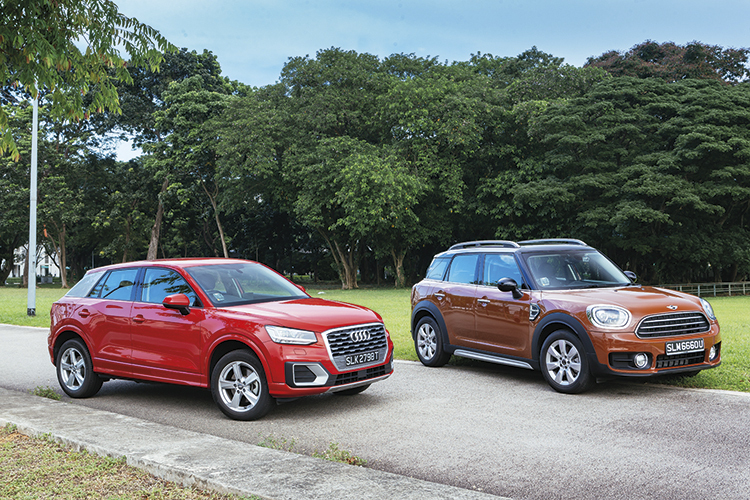 Based on the BMW X1 platform, the Countryman is more comparable to the Audi Q3 in size than the tiny tyke Q2. 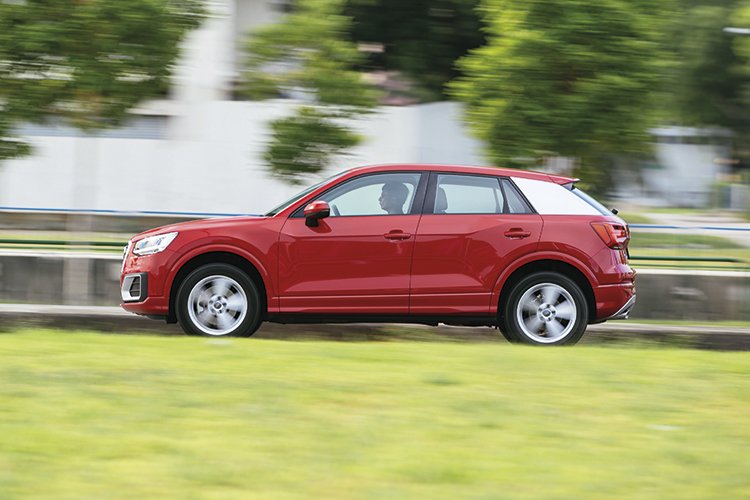 Audi Q2’s lighter body and more powerful motor make progress more effortless than in the Countryman. Confused? Both companies want you to buy with your heart as much as your head, and at over $170k apiece, you would pretty much have to. As Apple has annoyingly discovered, people will pay for style. 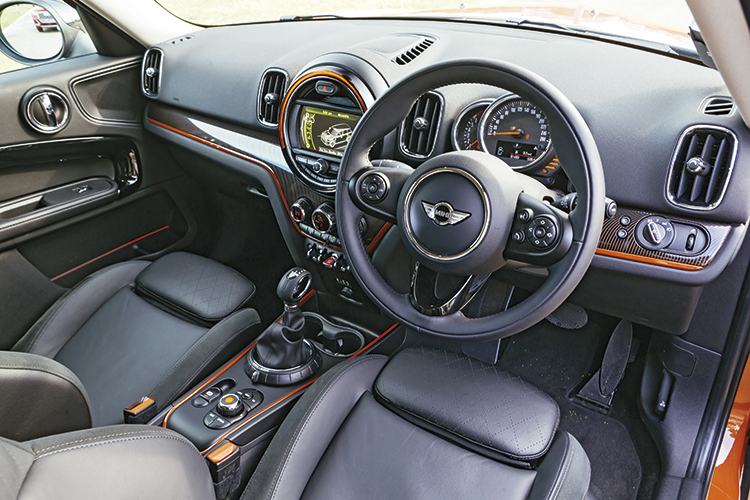 Inside and out, then, the Countryman is a design success, which is half the battle won. In older models, you had interior fixtures with shapes that a drunk would call “a bit loopy”, and they would invariably be scratchy and hollow to the touch. The new Countryman is different. It has chrome, glossy piano black and quilted leather. It looks and feels fantastic. 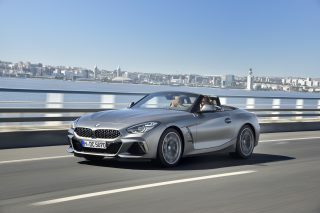 With the speedometer back behind the steering wheel and a big, BMW iDrive-based infotainment system in the centre console, it is not even irritating anymore. The same thing applies to the space, which is an impressive achievement considering that the car has a badge that literally means “small”. 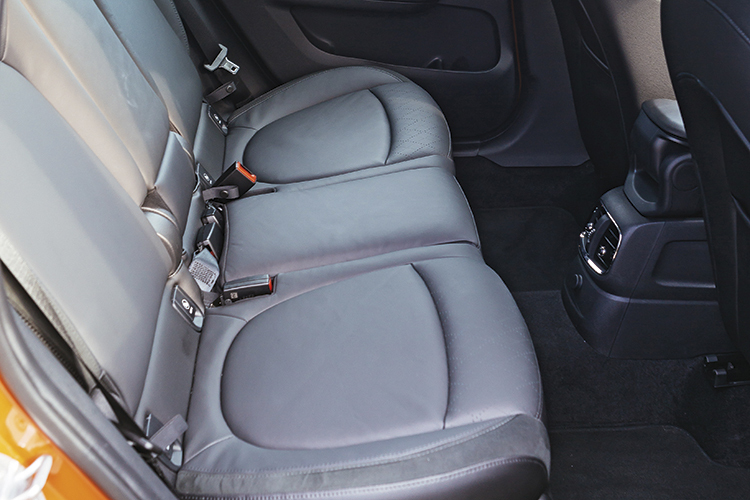 There is enough headroom to accommodate a Queen’s Guard, and an NBA player would not have to amputate his legs to fit in the backseat. 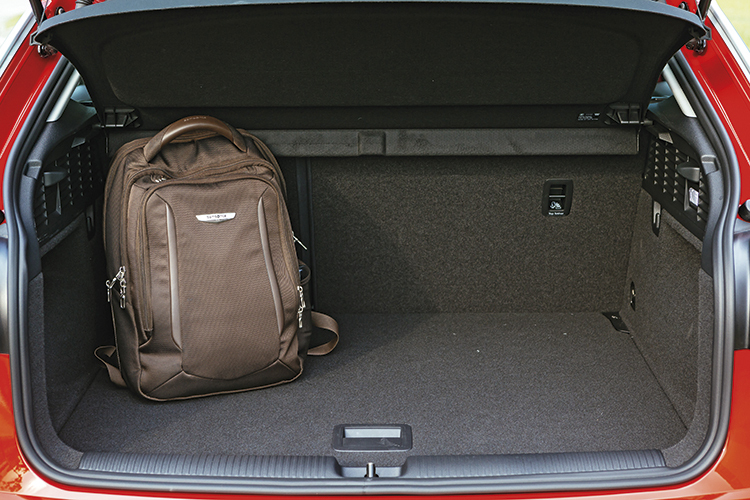 You could even drive your in-laws and their luggage to the airport, thanks to the 450-litre boot. 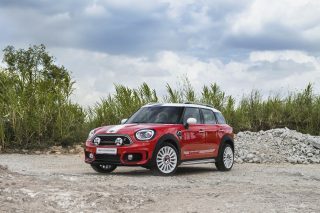 MINI has finally done it – the Countryman is interesting to look at, sumptuous to touch and doesn’t sacrifice good sense. It is, no doubt, a proper tool of conveyance. MINI Cooper Countryman interior looks and feels fantastic. There was more cognitive dissonance when I met the Q2 again. In Switzerland, the test-car I drove was equipped with Audi’s Virtual Cockpit and had illuminated dash inlays. The outside was garnished with contrasting skid plates. Hence, I thought it was quite nice. But shorn of these decorations, my attention is consumed by the door panels. School projects are mounted on more solid surfaces than these. Bang my elbows on them and I genuinely fear an abrasion. 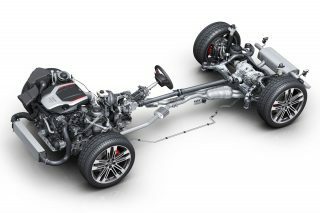 Much to my surprise, the pervasive sense of immaculate sophistication I expect in every Audi is somehow missing, along with adequate thigh support. It always perplexes me whenever I encounter a driver’s seat deficient in squab length. Why do manufacturers persistently make this mistake, given that their target clientele has legs? 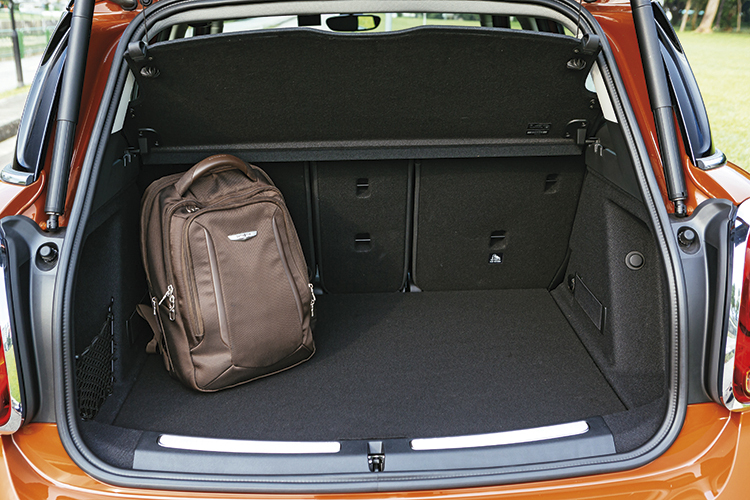 No such oversights are made in the Countryman, which is endowed with thoroughly supportive, sigh-out-loud comfortable seats. Ignite the engines, set off, and once again, expectations are knocked aroundin a cocked hat. The Countryman will bite down eagerly into bends as MINIs are always wont to do, but as soon as I get on the throttle and try to carve a line through a long sweeper, I realise that the Q2 does it better. 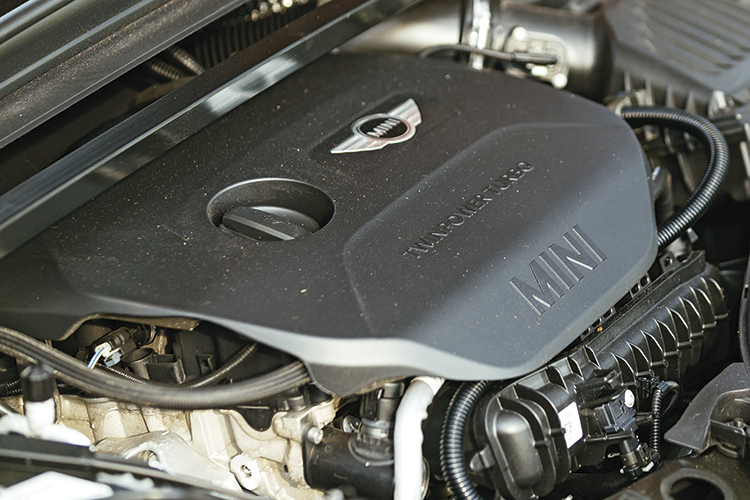 A quick glance at the specification sheets reveals why: The Countryman weighs 1390kg, while the Q2 weighs 1280kg. The MINI is loveable and chubby, but chubby nevertheless. 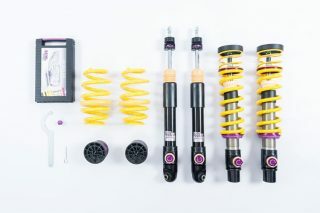 This has a major impact on the cars’ dynamic characters. Through the wet, twisting bends of Old Upper Thomson Road, the MINI’s tyres do not quite tell me how much grip is left at all four corners, or the point at which I might suddenly spin into a ditch. 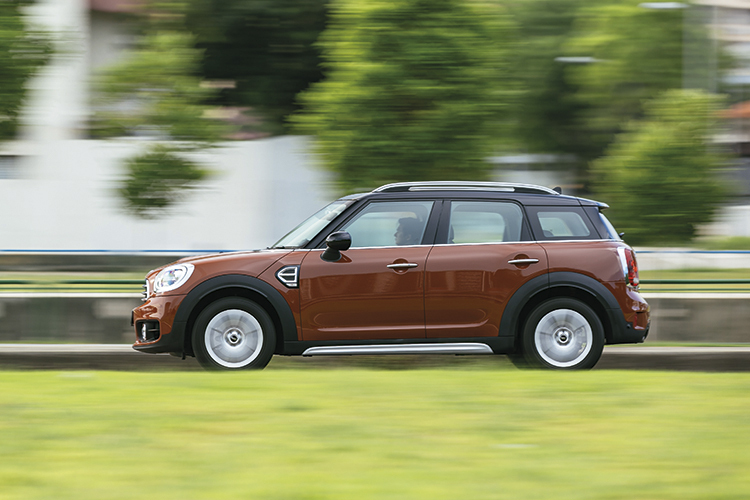 Therefore, accurate as the steering is and as pugnacious as its face looks, the Countryman’s heavyset character makes it hard to maintain a brisk pace with confidence. And it doesn’t trigger an itch to go scrabbling manically through the twisties like its smaller siblings manage to. A typically Teutonic, BMW-esque sense of solidity never deserts the car. However, given its market positioning, MINI may actually consider that a success. In contrast, there is a lightness and communicativeness to the Q2’s moves. At the same speeds and at the same angles of attack, its tyres more clearly declare a surfeit of grip against the lateral forces on the car. The gentle but progressive body roll also flows more fluently into the next bend, as opposed to the MINI’s chunkier shifts of mass. Feeling my way towards the limits of adhesion – a crucial element of driving for entertainment’s sake – is thus a more secure and rewarding exercise in the Q2 than in the Countryman. Bet you didn’t see that coming. When it’s time to exit a corner, the Q2 puts even more daylight between it and its competitor. 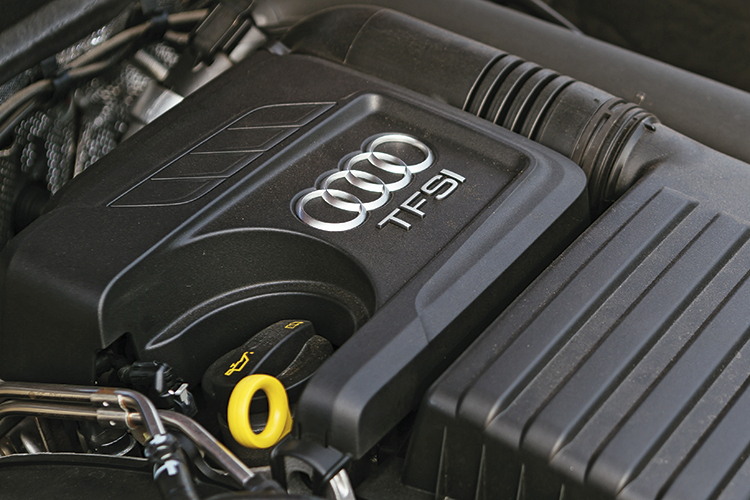 With 150hp, the Audi takes off with a minimum of effort. 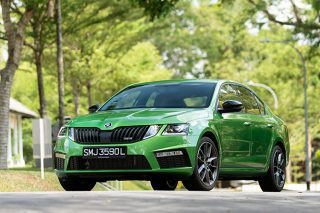 Waves of torque ally with its nimble disposition to make “city slicking” a breeze. It will even switch in and out of 2-cylinder mode unnoticed. The Volkswagen Golf, on whose ubiquitous MQB platform the Q2 is based, manages to feel sophisticated and cocoon its owner in a sphere of well-being without losing a sense of alacrity when you desire it. This is exactly what the Q2 manages. Driving home after a 12-hour workday is an easy-going affair. In this fashion, the Q2 feels much more like the Audi brand we all know and sagely respect. In comparison, 136hp is not enough for the chunky Countryman, whether in the serpentine curves of a back road or dicing with traffic in the heart of Shenton Way. And if I mash the accelerator, I’ll be met with a pause. This completely removes throttle adjustability for handling, and gives the car a constant staccato demeanour even when I’m not in a hurry. There is a simple solution to this: Choose the 192hp Cooper S Countryman. 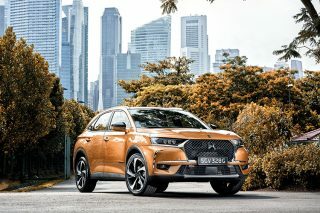 The model’s bigger engine is transformative, and combined with the car’s disposition, delivers a notably more pleasing and invigorating drive. With the weaker motor, my attention is demanded constantly, and not necessarily in a good way. The MINI Cooper Countryman eagerly bites into bends, but as I try to carve a line through a long sweeper, I realise that the Q2 does it better. Here we have a MINI that is bigger than an Audi, and an Audi with scratchier trimmings than a MINI. An Audi with quicker reflexes, and a MINI with plusher seats. I am very confused. Just do what the two carmakers want, which is letting your heart decide.